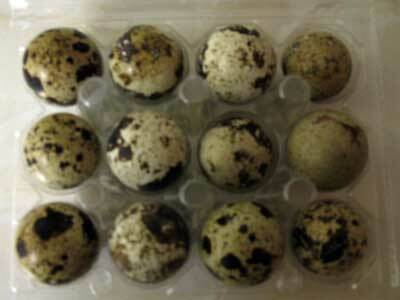 12 Japanese / Coturnix Quail eggs suitable for hatching in an incubator or under a broody hen. Only £3 plus £4 postage and packaging. Eggs will be collected and posted within 3 days of receipt of order. (Please note that quail eggs can be stored for up to 7 days.) The eggs will be fresh and no more than 2-4 days old. I have around 50 mixed Japanese / Coturnix quail in a large barn where the quail are free to roam and fly about. The chicks in the photograph below were hatched out last season. 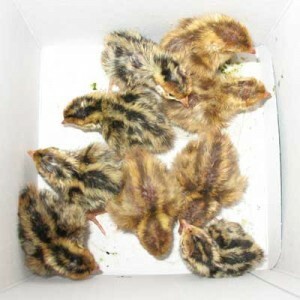 12 Japanese Quail Eggs For Hatching £3 plus £4 postage and packaging. Please Note That These Hatching Eggs Are Only For Sale In The UK. 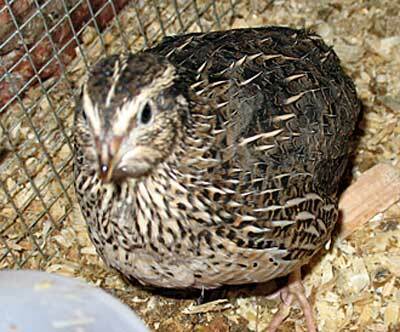 Do you still have fertile quail eggs for sale ? I would wish to buy. Could you please send your contact email or telephone number. I would like to buy some quail eggs. Please can you send me your phone numbe so I can ring you and place an order over the phone. I did send this as an email but it was sent back undelivered.